After working as a freelance makeup artist for over 20 years, I started JKo Beauty in 2017. I am so happy to share how JKo Beauty has grown in 2 years. A very special thank you to so many amazing couples and clients who have and continue to support my small business. 2018 started with a fabulous wedding on Saturday, January 6. It was the first Saturday of the year and I had the pleasure of working with a beautiful couple, Maya and Fred. Their wedding was featured in The Philadelphia Inquirer and philly.com. An interesting fun fact, not only does this couple resemble the Royal Couple, Prince Harry and Meghan Markle, but Meghan’s style was very much like Maya’s bridal style. In March, I had the pleasure of working with Jamie and Rick for their awesome engagement photo shoot. They had actually won a shoot with an incredible list of vendors. The shoot was not only awesome but so is their story. Check it out here, where it was featured on Philly In Love. I attended the celebration of the inaugural issue of Modern Luxury Weddings Philadelphia Magazine in June. The party was at the Pennsylvania Academy of the Fine Arts (PAFA) - which is also an incredible place to have a wedding. 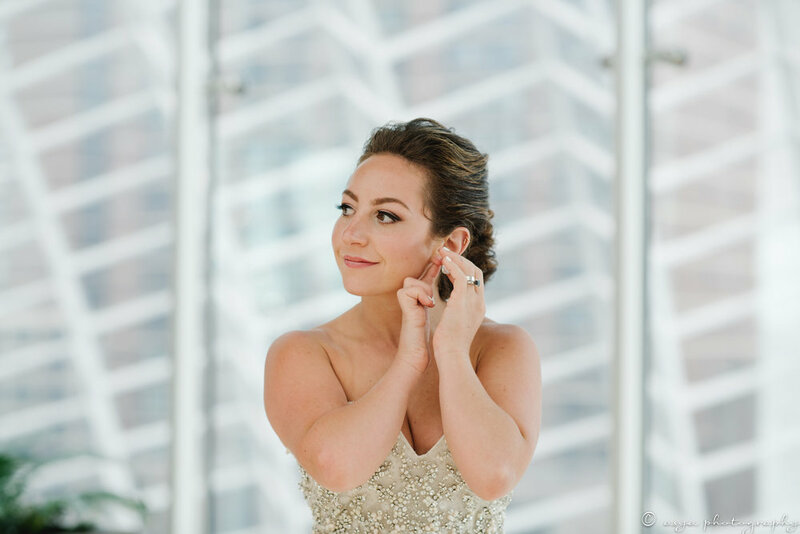 After having won the Philly A-List Best Wedding Hair & Makeup, which was announced in late December 2017, JKo Beauty finished as a Top 3 Finalist in the Philly Happening contest for Best On-Site Makeup which was announced in June. 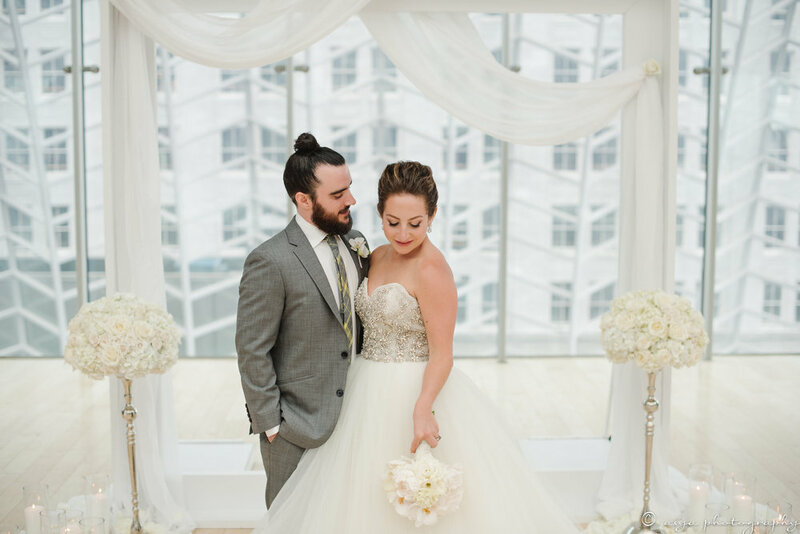 For the second year in a row, JKo Beauty also won The Knot Best of Weddings and Wedding Wire Couples’ Choice Awards. I attended the launch of the Philadelphia Wedding Magazine at the Barnes Museum in June. I am so happy to be featured in this fun issue dedicated to parties. In July, Philadelphia Style Magazine published their Best of Style issue and JKo Beauty was chosen as an editors’ choice for Best of Style, Best Makeup. We celebrated at the Kimmel Center for the Best of Style Party…such an awesome party! I traveled to Las Vegas for a week in November to attend the Wedding MBA with over 5500 other wedding professionals from around the world. My goal was to gain insight and learn ways to better serve my brides and couples. And I certainly did! In December, I attended the launch party for the latest Philadelphia Wedding Magazine at the new Terrain Gardens in Devon. 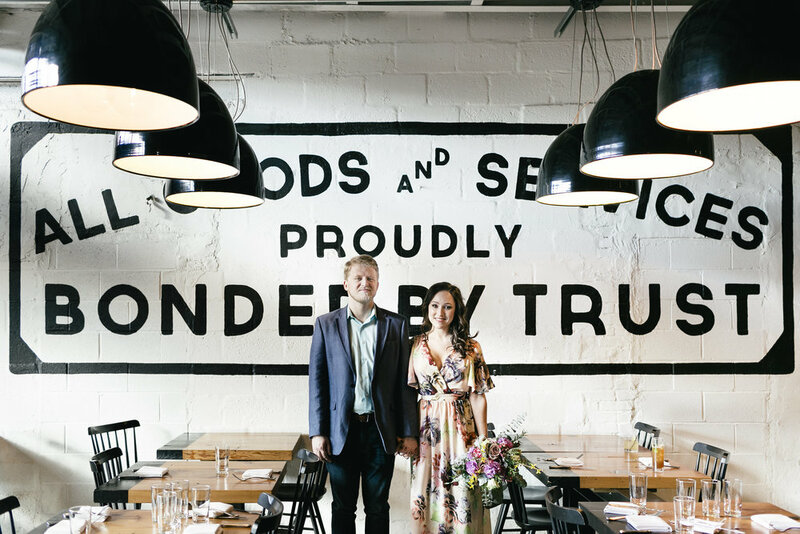 This new venue is gorgeous and I am so excited to work with couples who have chosen it for their Big Day in 2019. In this special issue all about “What the Pros Know,” I had the opportunity of contributing to the magazine. My section is about how brides can be best prepared for their wedding day makeup trial. 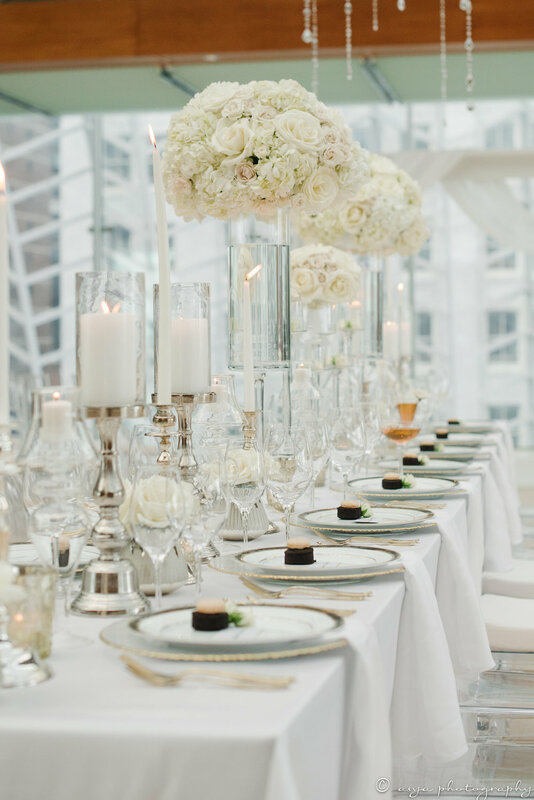 Also in December, the second issue of Modern Luxury Weddings Philadelphia was released. And it is stunning! I am so excited to be featured in this issue as well. 2018 ended with a sweet and beautiful bride and her lovely bridal party on New Year’s Eve. These ladies were so much fun and we had a blast during our glam time. What a perfect way to finish a fabulous year! Cheers to a new year full of all good things! Thank you so much to all of you who were a part of an incredible year for me and JKo Beauty! May your 2019 be full of joy, love, laughs and many blessings! Styled shoots can be so much fun and this one definitely was! Sam from Asya Photography had actually just shot for Emma and Eric’s real wedding one month before. What a cool way to spend your one month anniversary?! 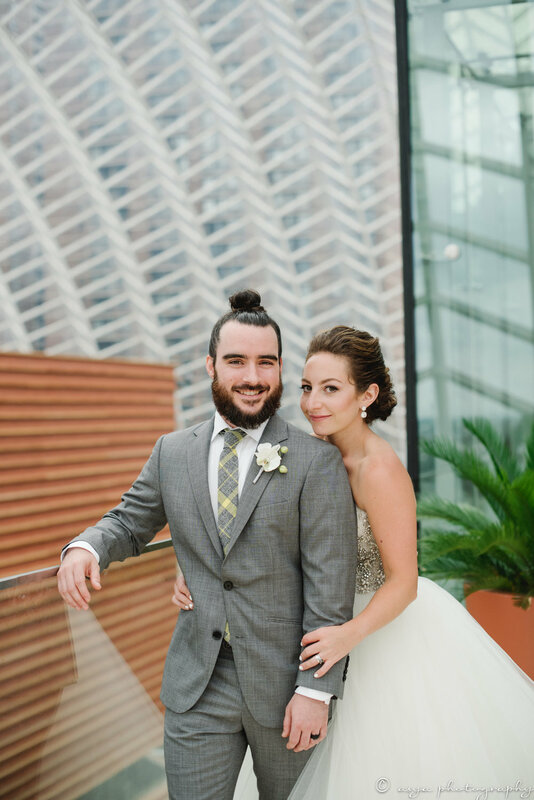 The Kimmel Center in Philadelphia is a beautiful venue for weddings as well as capturing beautiful photos. 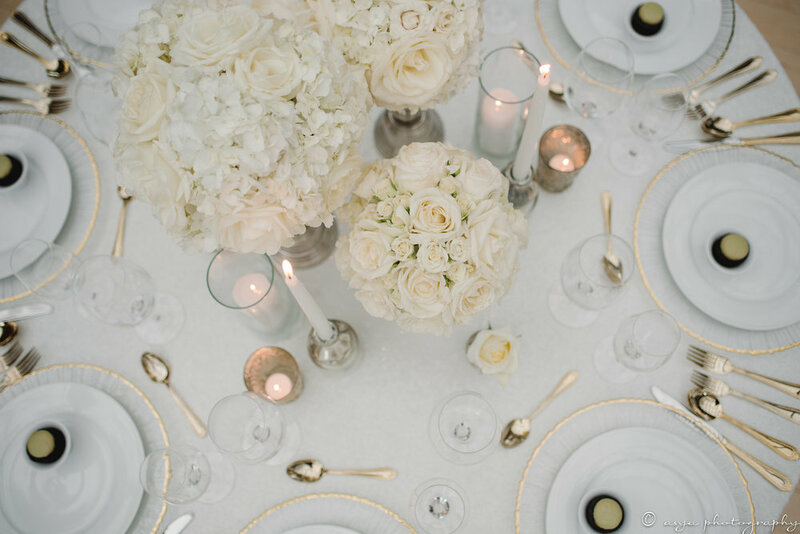 Elegant, luxurious and romantic is how I would describe the style of this wedding shoot. The makeup I did for Emma is one that is timeless and classic, it is romantic with a touch of glamour. I kept her skin glowing and fresh and added soft touches of highlighting and contouring to define her bone structure. She has naturally full and beautifully shaped brows. I cleaned up their shape and only enhanced their natural beauty. Emma has such beautiful eyes so I added intensity to them so they would be the focus of her look. Choosing your wedding day makeup look can be exciting but also overwhelming. Where do you look for inspiration and ideas? Should you do something different from what you usually do? Do you need that much makeup? How will you look your best and not like someone else? These are just a few of the questions that I regularly hear from brides. 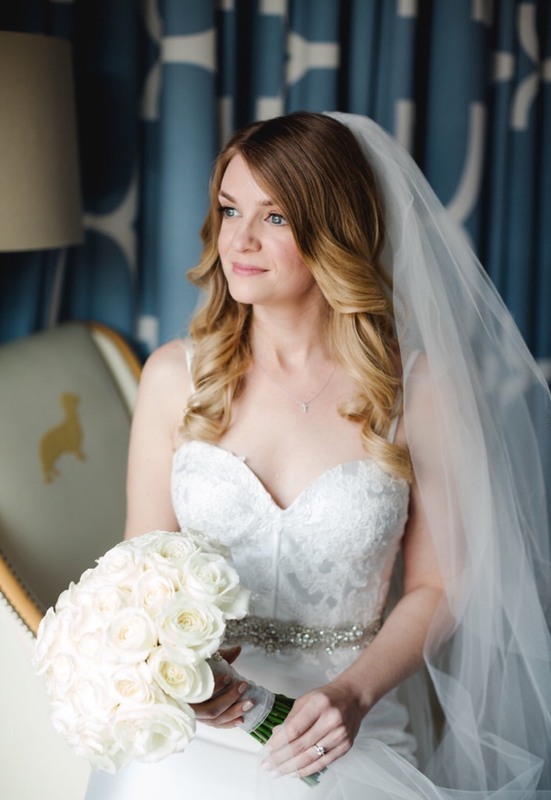 At JKo Beauty, we specialize in bridal makeup. 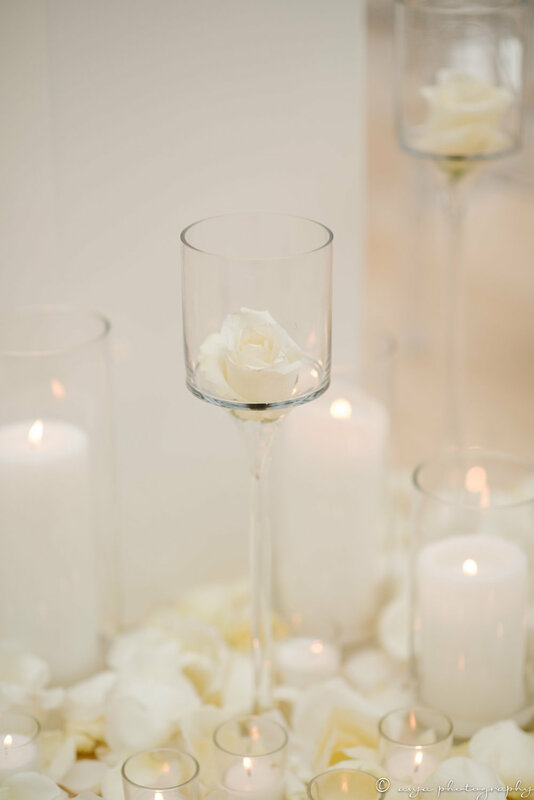 I personally have worked with brides for over 20 years and those on my team have years of experience as well. I have broken down a few very helpful tips to help you choose your wedding day makeup look. Consider what you normally wear for special occasions or events. Often times brides wear little or light makeup everyday. This may be because of their lifestyle or their profession…maybe it’s just what makes them feel their best. However many of these ladies like to experiment or wear much more makeup for special events or occasions. If you like to wear a bold lip, this is a great time to wear a stylish red or a pretty pink or berry shade. These colors are timeless, glamorous and feminine. If you prefer smokey eyes, go for it! This look can be subtle yet stunning on a bride. If you prefer something more natural on your wedding day, keep in mind that the “no-makeup” makeup look is actually a full face of makeup. Keep your overall wedding style in mind. For example, an outdoor ceremony in the afternoon or beach wedding is very different from a black-tie, evening ceremony. Your look should match the overall style. I always recommend choosing your venue or style of venue, then your gown and then your hair and makeup look. Everything should work together, in a harmonious and complimentary style. Consider the season or time of year. Summer weddings, for instance, can be hot or humid and wearing a heavy eye makeup style with a heavier complexion look may not feel as good. Instead try a soft, glowing complexion with a bright or soft lip shade and subtle shimmer for your eyes. A winter wedding can be a perfect time for a bold lip or more dramatic eye look. These are only ideas, you should always stay true to your personal style and preference. Try to stay away from trendy styles that will look dated in just a few short years. A stylish bride can always incorporate current trends in her look. The idea is to keep the trend somewhat subtle. We’ve all giggled at past wedding photos, but just remember, that was a fashion trend at that time! So when you are choosing your look, ask yourself if the style is a trend. A prime example is what is know as “Instaglam.” Bold brows, maybe even ombre brows, dramatic and transforming highlighting and contouring, as well as strong winged eyeliner are some of the elements to this trendy look. While this look can be fun (and I encourage you to have fun with your makeup,) incorporate these techniques into your look in a more understated or soft manner. Your makeup will look beautiful in person as well as your photos. Forever. Photo Credit: Grace + Ardor Co.
Once you’ve considered these factors, discuss your ideas or preferences with your makeup artist. I always have a thorough consultation with my brides during their trial to discuss and determine a look created just for them to make them look and feel as beautiful they had hoped for on their big day. Black eyeliner is a beauty staple. It can be used for so many different looks, classic and timeless to bold and dramatic or edgy. How many black eyeliners do you have? I realized that not only do I have an entire section devoted to black eyeliners in one of my makeup drawers but I actually use them all. So why have so many? Can't I use the same one for a variety of looks? Well of course I can, but there really is a difference! If you are not a fan of black and prefer something softer like brown or grey, that's ok. The following tips apply to any eyeliner, not just black. I have listed each product I am currently using and which look I prefer to use it for. Now before you think I am crazy for having so many, I LOVE makeup and enjoy trying different looks regularly. Hopefully this list will inspire you to try something new or give you an idea of a different way to use something you already own. This pencil is fast drying and intense black. For a look that is more defined and all day wearing, this is my favorite. *Application tip* Use a fine, angled liner brush to blend the outer corners for a winged-liner look. I especially like that this pencil is retractable and requires no sharpening. If possible, I prefer this style pencil to a sharpenable pencil to avoid accidentally scratching my eye while applying. This pencil wears really well and touches up smoothly. It is also available in a variety of other shades. Using black for the waterline creates a more sultry effect. *Application tip* Apply once to the waterline while applying your eye makeup and then once again after completing the rest of your makeup look as a finishing touch. I like using this waterproof formula for creating a fuller, longer lash look by tightlining. Tightlining is when you apply liner to the upper, inside lash line. I also use it fill in between the lashes. This creates a much more polished look to your lash line while, again, creating an illusion of more volume and length. *Application tip* Be sure to take your time and hold steady as you tightline. Hold your eyelid in place to prevent accidentally poking your eye. It is best to use a magnifying mirror. This eyeliner is so intense black and glides on with such ease. What's great about this pencil is that it is waterproof but doesn't set immediately. I prefer that for a more sultry, smokey look. You can easily blend this and apply more for added intensity. *Application tip* Apply very little pressure when using this pencil. It is so soft and almost melts onto your skin. Applying more pressure will create a thicker line and more intensity for when you want to add more drama. I love both of these formulas, I simply can not choose! The Bobbi formula is a solid black and is easier to blend and build. This product holds up very well to heat, humidity and much more. It's no wonder it's an award-winning product. The Anastasia formula is a much more intense black and sets very quickly. I find that it doesn't build up quite as easily since it sets so quickly. But for a sharp, ultra-black look, whether winged and dramatic or thin, fine and natural, this product is a winner. *Application tip* Using a gel liner always use a brush that is in good condition and not frayed. If brush hairs are sticking out, you will not get as smooth and precise of a line. For a thin line, choose a thin, skinny brush. For a thicker, more dramatic line, use a wider brush. This liner has a felt tip applicator much like a fine marker. The tip has a perfect combination of stiffness and flexibility. It is also truly an intense black and is waterproof. I buy this liner over and over again. It is now available in a Micro Tip style for an even finer point. *Application tip* Use this as a finishing touch to your eye makeup. This very fine point will fill in any gaps between your liner and lashes. This matte black shadow blends easily and can be built up for added intensity. I prefer to use this along the bottom lash line for a smokey look and applied over another black liner along the top lash line to either set and add more intensity or to create a softer look to the line. *Application tip* If you have not created the smoothest line on your eyes, apply this shadow using a fine angled brush and blend over your liner. This will cover and smooth any little bumps in your line. I always recommend false lashes to my clients to enhance their eyes and their makeup look. False lashes are important to any makeup look for a variety of reasons. They may be used to change or enhance the shape of the eyes, to fill in sparse lashes for a more polished look, to create more definition in photos or to completely change or enhance any makeup look. There are so many types of lashes to choose from and it can be a bit confusing which one is best for your look. These are the 3 most commonly used styles and why you should choose each one based on your desired look. Individual lashes can be a single lash or a small cluster of lashes. They are available in different lengths and can be used for a very natural look or a dramatic look. With this style, the lashes are completely customized and can be built up in volume or length based on your desired look. This can be the most time consuming style or the fastest to apply depending on the application. Half Lashes are made to enhance only the outer half of the lash line. They can give a lightweight feeling and a more natural look. These are easy to apply and provide a more almond-like shape to your eyes. This style can also be considered more sultry. Strip Lashes are a full band of lashes that are applied to the entire length of your lash line. They are a fast and easy way to create different styles to your makeup look. They come in a variety of styles and lengths, and can be quite natural or dramatic. They even come in creative styles such as feathers, fun colors or may even have crystals on them. This type of false lash band typically requires trimming to properly fit your eye. So whether you are going to dinner, a concert or getting married, consider wearing false lashes and have fun choosing different styles! Your wedding day will be one of the very best days of your life. It certainly was my best day ever - at least so far! I wish I could do it every year! It's that one day when everyone you love comes together to celebrate the union of you and your other half. You will laugh and you will cry, you will dance, hug, kiss and you'll be photographed well over a thousand times. 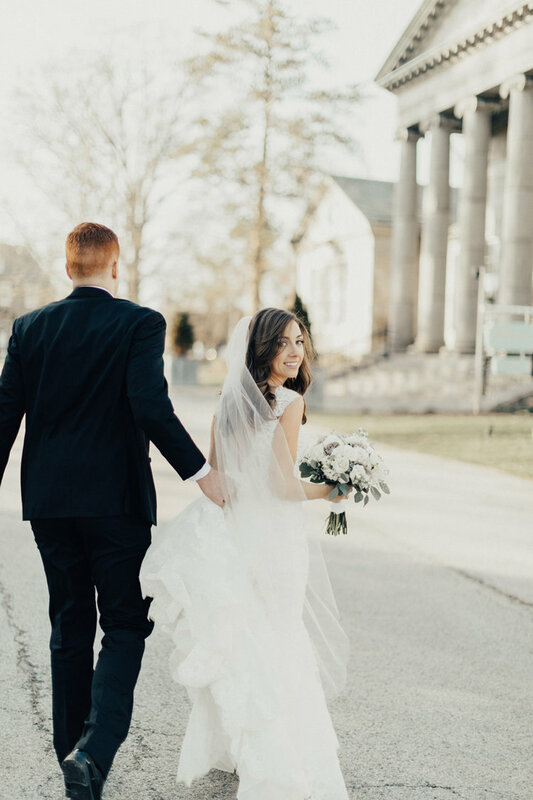 For this big day, choose reputable professionals who specialize in weddings. As a makeup artist specializing in bridal makeup, I can share with you factors you should be looking for in a makeup artist. While there is a multitude of advantages of choosing a high-end professional makeup artist, here are 5 top examples. 1. Someone you can absolutely count on for your big day. I often hear stories of the artist canceling last minute on the bride. This does not happen with true professionals. In the very rare event of an emergency or unforeseen extreme circumstance, a professional will have a network of other artists to refer you to. 2. Hygiene and Sanitation. A well-educated professional understands proper procedure and precautions of both. This factor is not something to compromise. Please do not underestimate just how serious these are. 3. Your makeup artist should understand lighting and how it affects your makeup. An experienced professional will prevent the unfortunate disappointment of makeup that looks harsh at your venue or mismatching your makeup causing a faux pas such as orange looking foundation. 4. A well-trained understanding for what is appropriate in bridal makeup. Yes, it is important to look amazing in your photos but it is equally important to look your best while spending the entire day face-to-face with your family and friends. A highly skilled makeup artist understands how to provide you with a look that will photograph beautifully while still looking fresh and complimentary in person. 5. Last but most definitely not least, a high-end professional has a thoroughly stocked kit for all skin types, skin tones, and ethnicities. It is equally important to have a comprehensive understanding of how to provide the best service using proper shade selections and application. 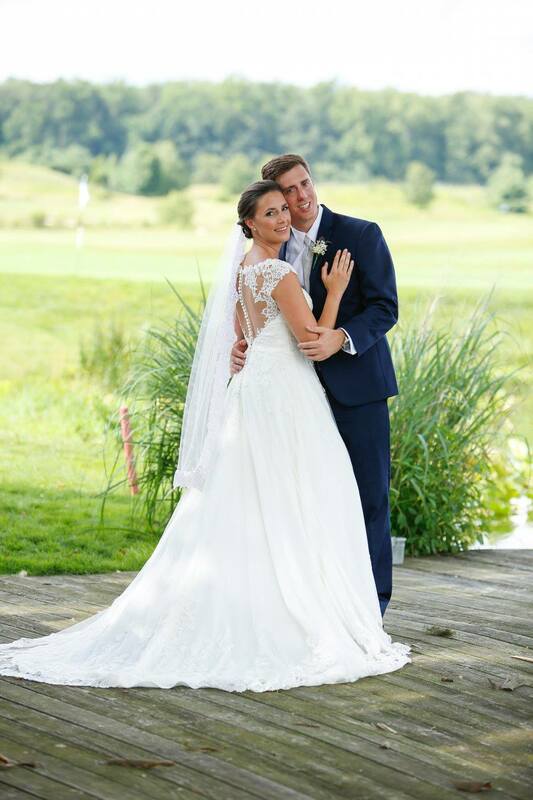 At JKo Beauty we provide professional makeup services for your big day as well as all of your other wedding related events. Contact us for more information, availability and pricing. Minimal Makeup is simple and fast. Minimal Makeup is most likely what you wear for light enhancing or for a quick pick-me-up. It doesn't have to be natural, it can actually be quite dramatic. An example of minimal and natural makeup is tinted moisturizer, blush or bronzer, mascara and a soft lip color. This will take you just a few short minutes. Or you could apply a full coverage foundation, setting powder, blush, eyeliner, mascara and a bold lip color, a total of 6 products, to create a dramatic look in about 5 minutes. Natural Makeup is meant to enhance natural beauty. It is choosing shades and textures that enhance your eye color, complexion products applied to look flawless but feel and look like your skin. It can be a bronzer that simply adds a touch of warmth, like a kiss from the sun...not a week in the tropics. Tricks like using lip liner and lipstick along with a lip gloss can ultimately make for a natural look that maximizes and enhances your lips and smile. One reason understanding this is so very important with bridal makeup is the overall wear of your look. Taking the time to properly prep your skin and layer the right products are key to your makeup staying in place throughout your big day. For your wedding day, if you want a natural look it is not a minimal makeup look. I believe in wearing a look, whether natural or dramatic that is enhancing to your natural and unique beauty and style on your wedding day. Have you ever noticed how much worse hair static is during the winter months? One of the main causes of static is dehydration. In the winter, the air lacks moisture and the heating systems make it even drier. Here are some tips to getting rid of the hair static. 1) Regular conditioning treatments and a lightweight hair oil can help to replenish and maintain moisture in your strands. Try not to wash your hair too often, this also can be very drying. 2) Try using an ionic hairdryer. It will not only help control static but also dry your hair faster and create less heat damage. 3) Spray your hair with hairspray. This will help hold your style and control the static. 4) You can use dryer sheets to calm your hair. You can even rub the dryer sheet on your pillowcase before going to bed. Try also wrapping your brush or comb in a dryer sheet as well. These may also be used while on the go for a quick fix. 5) Try to avoid plastic combs and brushes. 6) Use a humidifier while sleeping. This will put moisture back into the air, helping your hair and skin. 7) In a pinch, you can always use a touch of water. Wet your hands and gently apply to your hair. Your brows frame your eyes and can change the look of your face. Throughout the years, styles have come and gone...and come back again. There are different methods of shaping your brows, such as tweezing, waxing and threading. Here are 5 great reasons to trust a professional for your most enhancing look. 1) The proper brow shape can make you look younger or more refreshed. Your brows can, in a sense, have an expression. The idea is to have a positive expression, not surprised, angry or mean. 2) Have you ever heard the saying, "brows are like sisters, not twins." This means that they are not exactly alike, brows are not naturally completely symmetrical. A pro can see these subtle differences and make your brows appear more symmetrical. 3) It is important to understand that the best brow shape is not the same for everyone. Your face shape, bone structure and individual features are all factors in creating your best shape. 4) The proper brow shape can give you a more finished look. I always say, "Take care of your skin and your brows, they do not wash off at the end of the day." Even without makeup, great brows can enhance your look. 5) Something I always tell my clients is how difficult it is to shape your own brows. It's really quite simple why. In order to see the hairs you want to remove, you must look closely in the mirror, most likely a magnifying mirror. By doing this, you ultimately lose perspective of both brows. This is how you end up with either over-tweezed or more asymmetrical brows, or even worse both. The last party night of the year is quickly approaching. Deciding what to wear and how to pull your look together is probably one of your biggest tasks for this special night. Let's be honest, we not only want to spend the last night of the year with those that are most important to us, but we want to feel good and look amazing! Here are a few ideas to have fun with your makeup, this is the night for glitter, glow and glam! 1) Go for glitter on your eyes. You can try using a cream shadow first, then press a glitter eyeshadow over it. I recommend you look for a fine glitter versus a more chunky texture. 2) Try a dramatic winged liner. Or even better yet, a dramatic winged liner...with glitter or metallic liquid liner. 3) Metallic smokey eye makeup can be coordinated to your overall look. If you're wearing all black, it's a great way to add some color. Or go a bit bolder and more creative, use a complimentary color to what you are wearing. My go-to is the complimentary color to your eye color, making your eyes pop. 4) Wear false lashes. Depending on your overall look, you can choose a style that naturally enhances your lashes or try something more playful and dramatic. 5) Try a bold lip color. I always think of pinks and reds as more party appropriate. But why not try a deep stain or burgundy for something more vampy or if it's your style, a bold orange. 6) Go ahead and apply a more defined contour and glowing highlight. Now is the best time for this bone structure enhancing style. Cheers to a Happy and Healthy New Year!! Tomatoes help boost collagen, are rich in Vitamin A, C and K as well as lycopene, a powerful anti-oxidant. Green Tea is loaded with polyphenols, powerful anti-oxidants. Drinking green tea regularly is also known to help reverse sun damage. Be sure not to limit consumption, it also contains caffeine which can ultimately dehydrate your skin. Berries are rich in vitamin C and anti-oxidants. Anthrocyanin, an anti-oxidant that helps fight damage from free radicals and ellagic acid, which helps protect from sun damage and promotes collagen and elasticity are both present in berries. They also contain essential fatty acids which improve skin's hydration and reduce inflammation. Avocados are a great source of carotenoids which improve density, thickness, tone and overall general appearance. They also contain vitamins C and E and oleic acid which helps keep skin soft and hydrated. Carrots have vitamin C which helps plumpness and firmness of the skin. They are rich in beta-carotene which is converted to vitamin A and helps with blemishes, pigmentation and oiliness. Leafy Greens such as kale and swiss chard are high in beta-carotene, helping to repair and renew skin for a healthy glow. Arugula also contains sulfur which supports collagen production. Spinach is also high in folate which helps with DNA repair. Leafy greens are also rich in vitamins A and C.
Eggs help to soften, firm and hydrate your skin. They help to protect skin from UV damage with lutein and zeaxanthin. Eggs have amino acids that help in generation of new cells. Almonds help to hydrate and soften the skin. They are high in vitamin E which helps prevent cell damage as well as damage from the sun. Citrus Fruits help with sun spots, uneven skin tone and enhancing a radiant glow while rejuvenating your skin from within. These fruits are high in vitamin C and contain vitamin B6, folate, potassium, lycopene, niacin, magnesium, thiamin and phytonutrients. Peppers are high in vitamins A, C and K. They help with blood circulation and fighting blemishes as well as fighting oxidative stress. These 10 foods are just a starting point for a healthy glow for all of us, not just a bride. It is incredible what a healthy, clean and well-balanced diet can do for our overall health and well-being. Have fun and be creative with your food, it's truly one of life's simple pleasures. First, your skin prep is critical to the wear and look of your makeup. Skin that is in it's best condition will look even more flawless with makeup. In addition, you'll find that it will wear better for much longer throughout the day. Refrain from picking at blemishes. I know it's so tempting, but makeup will not adhere properly to broken or peeling skin. Keep your skin hydrated and balanced, this will also help the wear of your makeup. It will also prevent dehydration lines. Be sure to have your brows shaped earlier in the week along with getting rid of any unwanted facial hair. Having a smooth complexion truly does make a difference in your makeup look. Of course, having brows shaped to enhance your eyes and face shape makes a difference even when you're makeup-free. Ideally, you will only need a subtle enhancing with products to perfect your brows and hold them in place throughout the day. Choosing the appropriate complexion products and shades is critical to this look. The idea is to perfect your coloring and enhance your bone structure. This is especially important with professional photography. You want to look naturally flawless in person as well as in your photos. Your eye makeup should be subtle and bring out your eye color. It should enhance the shape of your eyes. Choosing the right colors and textures can also make a huge difference. Don't forget to define your eyes with eyeliner and false lashes. Again, these two things have a big impact on your look in your photos. Choose a lip color that mimics a natural lip shade. Don't be afraid to line your lips, this will not only enhance their shape but will help prevent any lipstick bleeding. Don't forgot to set your makeup with a setting powder and setting spray! A professional makeup artist will know how to provide this look, ensuring not only that you feel your absolute best but that your look will photograph beautifully and stay in place through the tears and laughs throughout your Big Day. Airbrush makeup is applied with an airbrush gun and a compressor and is essentially a super fine mist of makeup. One of the advantages of airbrush makeup is the lightweight feeling on the skin. 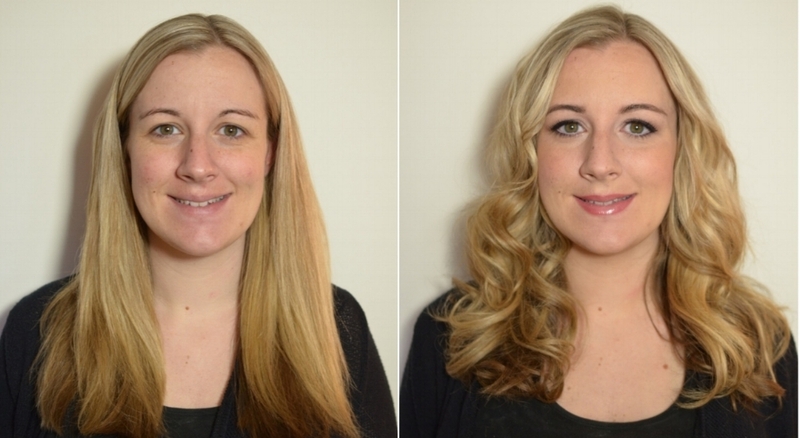 When done correctly, airbrush makeup creates a flawless yet natural looking complexion. It can be especially helpful in covering blemishes and areas needing extra coverage. It photographs beautifully as well. Airbrush makeup is available in formulas that are long-wearing, water-proof, transfer-resistant and smudge-proof...perfect for your wedding day. For your wedding day, you may also choose to have body makeup or tattoo coverage. Airbrush is a great choice for either services. Please do keep in mind that just like traditional makeup, airbrush makeup is available in many formulas and finishes. Also just the same as with traditional makeup, your overall experience with airbrush makeup is subject to the expertise of your makeup artist. Wedding day makeup with your bridal party is so much fun! Your big day has finally arrived and you get to spend time with your best girls doing what girls love to do...hair, makeup and get dressed up! Typically what I find is that during our trial, brides say that they don't care and the other ladies can do whatever they want. As a professional makeup artist, I suggest something a bit different. The ladies are all going to be in many photos with you and standing along side of you during the ceremony. I think it goes without saying that the bride should have her own look and style. My suggestion is that the other ladies have a harmonious look together as well as with you. Each individual bridesmaid can still have colors and styles that best suit her features and coloring as well as personal style. However, when you're all together you look like you belong together! There are a multitude of advantages when you choose a high end professional makeup artist. Below you will learn 5 top examples why you should hire a professional for your Wedding Day. 1. Someone you can absolutely count on for your big day. I often hear stories of the artist cancelling last minute on the bride. This does not happen with true professionals. In the very rare event of an emergency or unforeseen extreme circumstance, a professional will have a network of other artists to refer you to. 2. Hygiene and Sanitation. A well-educated professional understands proper procedure and precautions of both. This factor is not something to compromise. Please do not underestimate the seriousness of this. 3. Your makeup artist should understand lighting and how it effects your makeup. An experienced professional will prevent the unfortunate disappointment of makeup that looks harsh at your venue or mismatching your makeup causing a faux pas such as orange looking foundation. 5. Last but most definitely not least, a high end professional has a thoroughly stocked kit for all skin types, skin tonesand ethnicities. It is equally important to have a comprehensive understanding of how to provide the best service using proper shade selections and application. False lashes photograph beautifully without having a heavy or clumpy look that just wearing more mascara unfortunately may have. They also add immediate glamour to your look. But not to worry, you may choose from a variety of styles to enhance your makeup style. Applied properly, false lashes can easily enhance the shape and size of your eyes. No matter what your natural lashes are like, there is an option that will beautifully enhance your look. Individual lashes or lash clusters are commonly used for a more natural look. Strip lashes are often used for a more dramatic effect. However, there are strip lash options available that can be very natural looking. Don't be surprised...you'll want to wear them for all of your special occasions!